Blog › Is Arenal Volcano still worth a visit? Being in the tourism industry and living in Costa Rica, the question of whether it is still work visiting Arenal Volcano is something I get asked daily. The answer I tend to give is… it depends! If you hope to see spewing lava and that is all you are interested in, then the answer is no ,that Arenal Volcano has been pretty quiet for the last few years. However, if you want to see beautiful rainforest, learn something of the fascinating geology of the area, relax in the many hot springs in the area plus have a wide selection of adventure tours and activities than my answer is YES! Not everyone wants to spend every second of the day lying on a beach, no matter how beautiful the beach is. For many people actively participating in an adventure sport or being educated about a natural phenomenon is equally as important. There is no reason why you can’t do it all in your visit to Costa Rica! Two and three centered vacations have always been popular in Costa Rica. A typical route is Arenal, Monteverde and finally a visit to the beach. Arenal Volcano covers an area of 12016 hectares and elevations range from 1000 to 1657 meters (3281 to 5436 feet). The protected national park highlights many of the country’s world acclaimed natural treasures. Hiking at the base of the Volcano has been one of the top natural tourist attractions in Costa Rica. There are guided hikes to Arenal National Park to safely take you on the best routes and teach you about the fascinating history of Costa Rica’s most famous volcano and the interesting fauna and flora of the area. The trails embrace the old lava fields, formed from past eruptions and secondary forests that offer extraordinary views of the renowned volcano. As is customary, the safety of tourists is paramount and trails for visitors are allowed only along the borders of the lower slopes. Short hiking trails of between 3.4 km and 2 km can be found within the interior of the park. Some of the more noteworthy hiking trails include Las Heliconias and Las Coladas trails which bypasses cooled lava, remnants from the 1968 eruption. Hiking in Arenal, despite the lack of action from the volcano is still popular; hardly surprising as exploring the luxurious forests can be richly rewarding, especially with a nature guide. The plant life is fascinating and there is always the prospect of spotting deer, monkeys and coatis. The Arenal area is particularly interesting for bird lovers. Costa Rica prides itself on being home to 850 bird species, many of which can be found inhabiting the area. 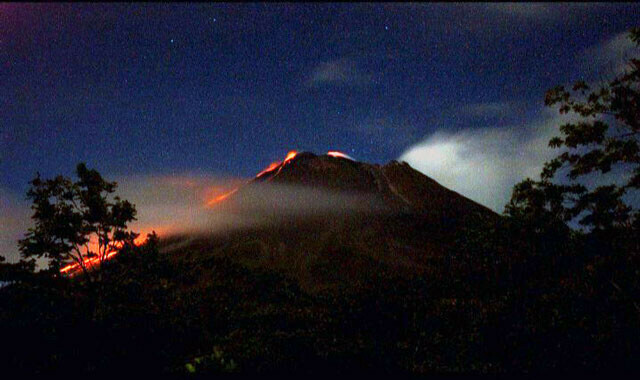 Nearby Arenal Volcano is another volcano which has attracted many a visitor. 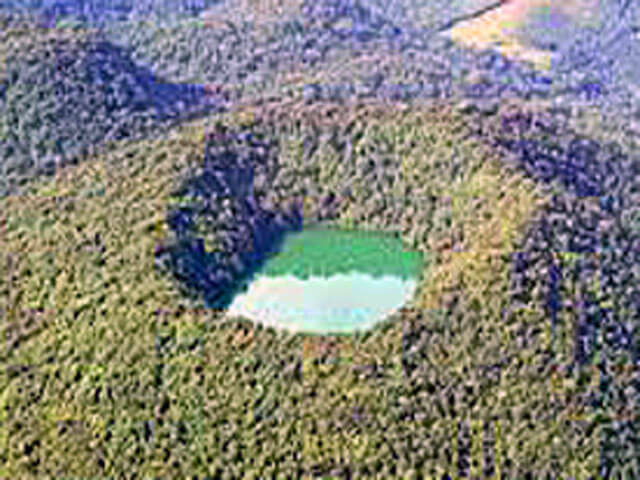 Cerro Chato is an extinct volcano characterized by lush dense forests. The majestic beauty to be observed is well worth the muddy trail up the incline. You are rewarded at the top by great views of the surrounding area and the crater with its gleaming pool. Lava or no lava, the Arenal area continues to attract visitors and is particularly attractive to those who love adventure, from whitewater rafting and kayaking to wildlife safari tours. So if you do not want to spend all of your holiday lying on a beach, a 2 or 3 day visit to the region is highly recommended.